YOU get to finish these creepy fill-in stories. Make them so scary they have to be locked up. 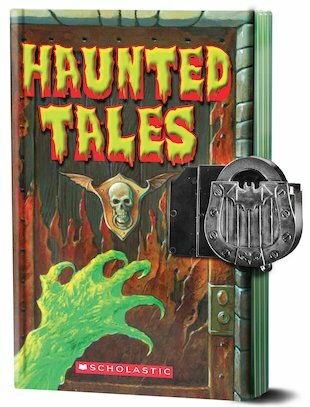 This unique book of ghost stories features empty spaces after each one. Why? So you can write your own terrifying endings and draw ghoulish pictures, of course. See how spooky you can make your frightening fill-in tales. When you’re done, make sure you seal them up with the jangling Gothic lock and key.